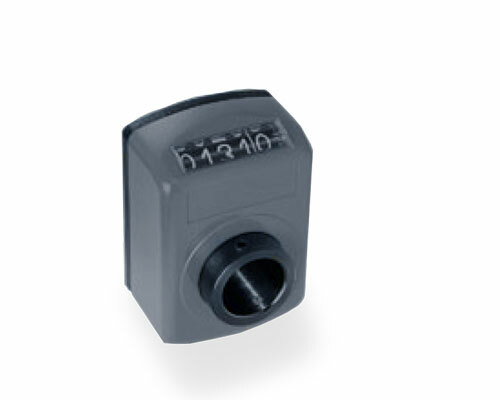 The mechanical counter provides a convenient lead screw revolution count. 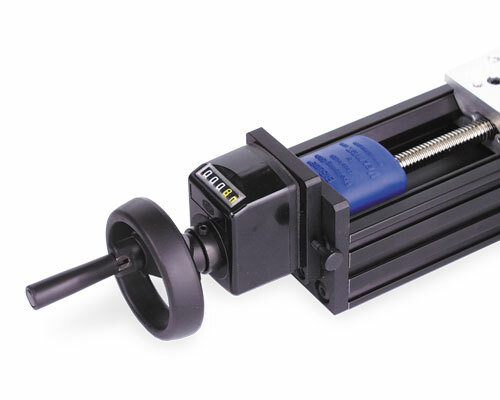 This aids in determining position and providing a reference number for the location of the carriage / slider. 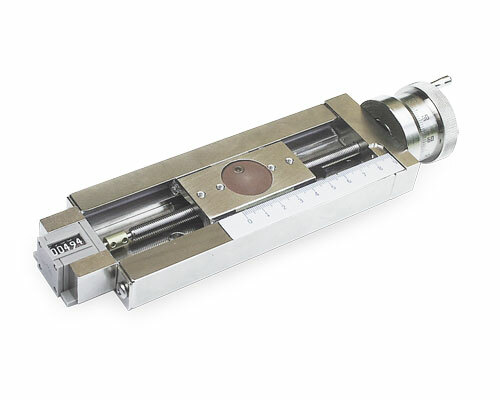 On UniSlide™ Assemblies, it is also useful in combination with a graduated knob when the scale is obscured by the payload or when the device is longer than the available scale. In those instances, the you read the counter and then the engraved knob for the last significant digit. 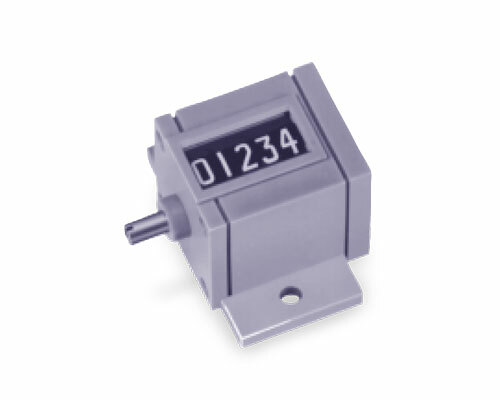 UniSlide® Revolution Counter (-RC) – Readouts in either 0.01" or 0.1 mm increments. Counts precisely with 0.100" or 1 mm lead screws. Other screws require additional calculations. Please note: Zero position is at the counter end of the UniSlide and is not re-settable. With UniSlide models equipped with 10 pitch or 1 mm lead screws (W1 and P10 or K1 and Q1) the counter increments every 1/10 revolution, and reads correctly. It can be used with other pitch screws but it is necessary to multiply or divide depending on the screw pitch. A viewport for reading the counter is available for XZ adapters when the counter is inverted on the stage. 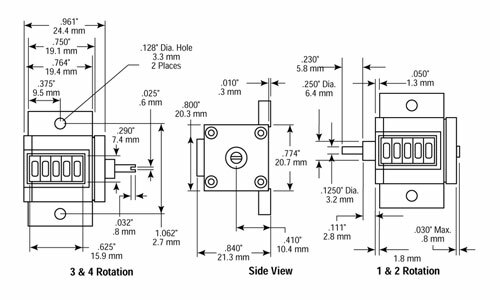 BiSlide® Revolution Counter (-12, -13, -14, -15) – Resolution in .001" or 0.01 mm increments. 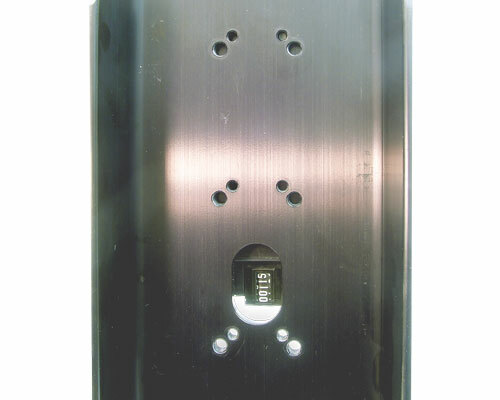 The counter is standard on Knob/Crank with counter and thumb lock style BiSlide Assemblies. 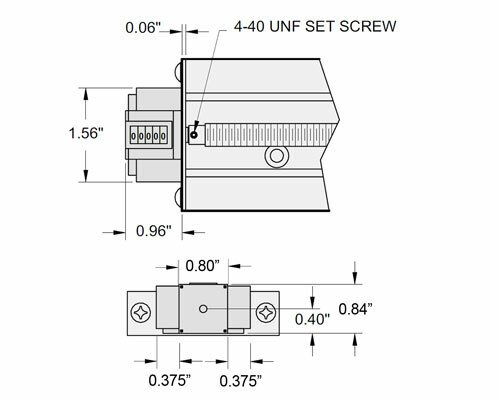 Counters are adjusted to fit the displacement of the specific lead screw.